After making many headlines, Jio once again back with the great offer for it's users. As company have already told that Jio will provide data and calling far cheaper than other Telecom provider and here they stay with there promise. 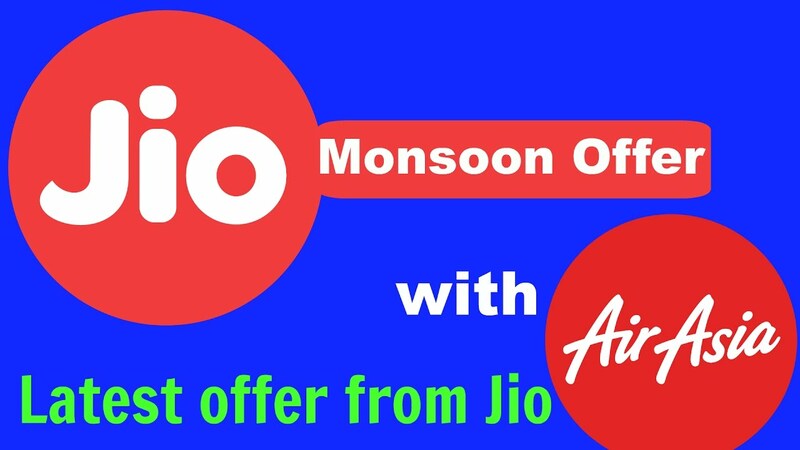 As this month, July is the last month for the Jio last Dhan Dhana Dhan offer, here Jio bring another offer, Jio Monsoon Offer with more better with more data. If you don't use much data then this is the best plan for you. As earlier Jio 149 plan gives you 1GB of data for a month, but this has been increased to 2GB, and you will all calling and 100sms for free unlimited. After 2GB speed will cap to 128 kbps. On 309 plan, you will get 1GB 4G data per day for 2 billing cycles. Overall, you will get 56GB’s of data with a cap of 1GB per day. After you exhaust the data limit, the speed would be reduced to 128 kbps. Earlier this plan offer 1GB for 28 days for 1 billing cycle. This is the new plan introduce in Jio Monsoon offer. On this plan users will get 20GB of data for 56 days. The plan allows you to use any amount of data on any data as long as overall usage does not cross 20GB in 2 billing cycles. All rest of benefits remain same! This is another new plan added on Monsoon Offer. On this plan again users will get 1GB daily, as same as 309 plan. But the difference is of billing cycle, this plan is having 3 billing cycle for 84 days, ND rest everything same. This plan offer you 2GB of data per day with the 2 billing cycle. That means it will for 54 days, and rest offer are same as unlimited calling and free sms. If you are a postpaid user, you have a total of 5 plans – 309, 349, 399, 509 and 999. For 309 plan you get 2 months validity and 1GB of data per day. For 349, you get 20GBs of data without any daily cap for 2 months. 399 plan offers 1GB data daily for a period of 3 months, while the 509 plans is same as 309, but offers double the data (2GB per day). The 999 plan offers you 90GBs of data for 2 months without any daily data cap.